This version solves a security vulnerability and fixes a bug where the status and title bars didn’t always update. This entry was posted on Friday, December 4th, 2015 at 23:57	and is filed under Uncategorized. You can follow any responses to this entry through the RSS 2.0 feed. Both comments and pings are currently closed. not working at all. The only thing you see is a blank purple screen. Exif orientation feature does not work unfortunately in my computer (windows 10), I did not find an option to change orientation manually. Otherwise, it would be the best picture viewer for me! Hi, i really love the minimalism of the pictus a pure viewer, but i ran into a problem or bug that came from 1.5.0 upto 1.5.3 which in some folder (“D:/” in my case) everytime i open a picture it always start from the first image sorted by name. Ex: i have 3 images, 1.jpg, 2.jpg, 3.jpg, & no matter i choose to open 2.jpg or 3.jpg it always opened 1.jpg. But 1.4.0 works perfectly. Hopefully you can fix this. 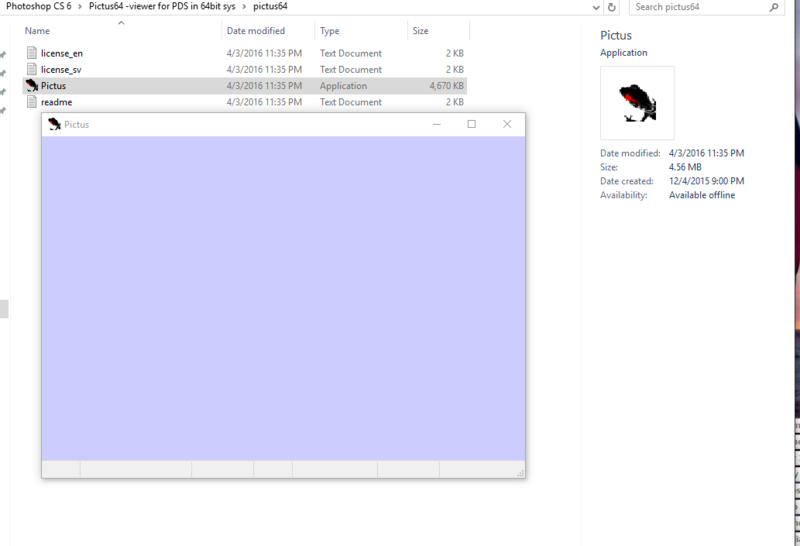 I have three files in a folder and only one is previewed. Not sure why. The one that gets previewed is about 30MB. The other ones (that do not preview) are about 90MB in size. Not sure if that’s the reason. It’s not a matter of waiting a little longer, as even if I wait for an hour they do not preview. A perfect little, simple picture viewer that can run multiple instances, even with psd’s. Finally I found it. Thank you for that.